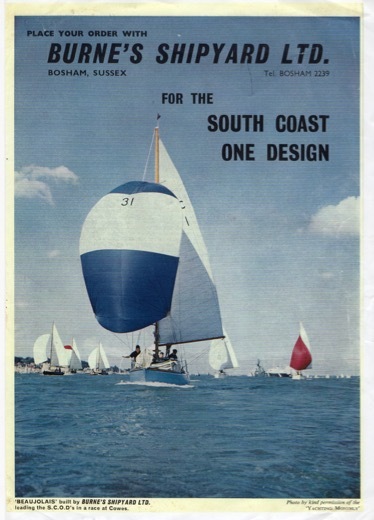 Please click here to download the 1965 Burnes Scod brochure featuring a fantastic picture of Beaujolais on the cover and testimonials from a number of owners on the back page. 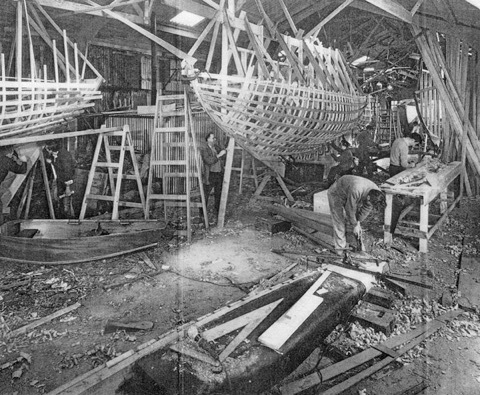 Below is a photo of the interior of the Burne's yard with two Scods in build, note the ballast keel in the foreground and the ply dinghy which was an optional extra. 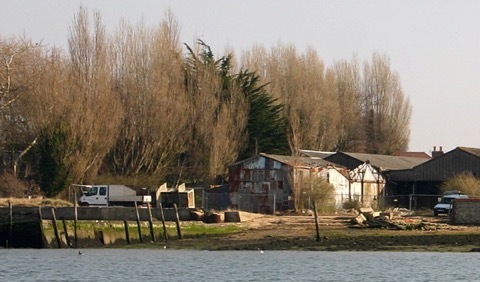 The last Scod was built by Burne's over 40 years ago and the yard closed for good in the 1990s. The waterside site has been earmarked for redevelopment but there are obviously issues, as planning permission has not been forthcoming. A proposal for a residential redevelopment submitted last year can be viewed here, which has some impressive images of the site which may be of interest to some Scod owners, if nothing else, of which this is one (see below).